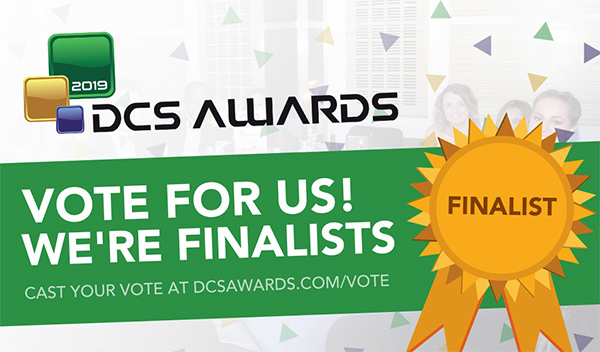 It has just been announced that AVK have been chosen as a finalist for the DCS Awards. We are one of eight shortlisted companies in the ‘Data Centre Facilities Vendor of the Year’ category to make it through to the gala awards night on Thursday 16th May 2019 at the Grange St Paul’s Hotel, London. Now in its 9th year, the DCS awards are an annual event designed to reward the key manufacturers, suppliers and providers operating in the data centre arena. The Awards recognise the achievements of the vendors and their business partners alike and this year encompass a wide range of facilities and information technology award categories designed to address all of the main areas of the data centre market in Europe. We are ecstatic to be nominated and have our work in the data centre sector recognised and held in high regard along with the opportunity to compete against fellow industry leaders. Voting closes on the 3rd May 2019 so please get your vote in for AVK quickly – we’d be extremely grateful! To vote please visit: https://dcsawards.com/vote, use the drop-down filter to our category and click vote on our logo.